Next to our laundry room this old beauty resides (alright it’s not the sexiest of all photos, but it’ll give you an idea of how it looks). 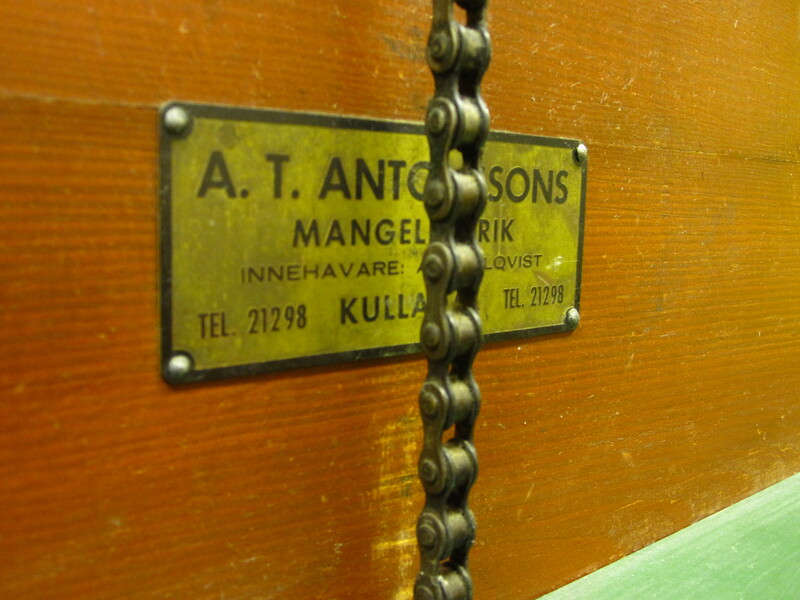 It’s a stone mangle made here in Malmö at A.T. Antonssons Mangelfabrik in the 1950’s. Antonssons mangle factory shut down in the late 80’s as the industrial decline had stomped down hard on Malmö for decades, so entering our laundry room is somewhat like stepping into a small museum displaying some of this city’s former glory of industrial pride. I can’t help but being fascinated by it still standing there in working condition after all those years. Its weight at about 1500kg might be part of the explanation, but I doubt that anyone is actually using it today. Some days ago I decided to give it a go in front of my mics. 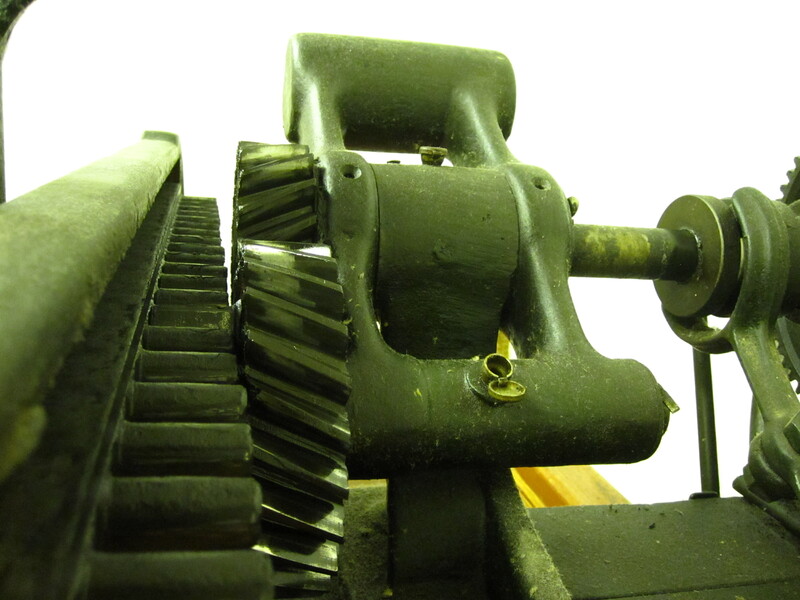 I love the sound of old mechanical machinery and I certainly didn’t get dissapointed by its clonks and creaks. It’s quite soothing and hypnotic isn’t it? Interesting how the beauty of this sound probably just signalled another day at work for the people in the 1950s. It’d be nice to send this off to an “endangered sound” website, I think they’d really like it. Interesting indeed, how sounds can alter meaning over time. This sound was probably one of everyday nature for housewives during the 50′s, a sound easily recognized at that period of time. 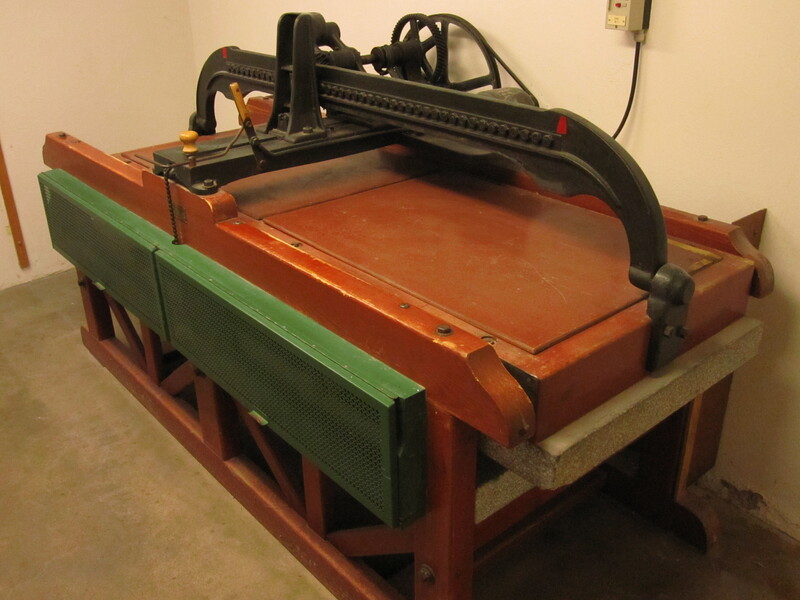 For many (at least for those who didn’t have to use the mangle) it probably symbolized transgression and development in the era of the emerging welfare state. Today the sound rather evokes thoughts of systemized reproductive work and the oppression of women.